Mother's academy is to equip young mothers to emerge as confident and caring women. Learning new things into your busy schedule is the most over whelming. We encourage mothers to indulge into learning new skills to be creative and innovative, acquire knowledge for self upliftment and child rearing. The academy will conduct workshops and short term courses for image building, health and nutrition, computer skills, mothers health and fitness (Dance, Yoga, Zumba etc) when children are busy with their sessions. Teaching as a profession has undergone massive change in the last few decades. Adapting to these changes, especially the technology to engage children has been a key challenge for educators. 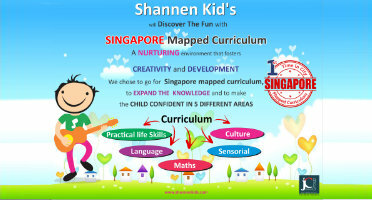 Our programmes in Classroom Management, Pedagogy Training, Subject Training, Life Skills and Certificate Course in ECCE (Early childhood care and education) programme enable teachers who have no, little or some teaching experience, with technology tools and effective pedagogy techniques to make the teaching-learning experience in the classroom effective and enjoyable. Our teacher training focus on improving classroom practice through the usage of technology, interactive teaching learning material, classroom organization skills, lesson planning, and appropriate teaching styles. Our customized teacher training programs focuses on improving the quality of teaching and learning in schools, so that greater numbers of students achieve increasing levels of proficiency in the core academics. To create motivated teachers, capable of delivering the curriculum. To improve teacher's subject knowledge and understanding of difficult concepts of the curriculum, to enable effective transfer of knowledge. While effective student learning will always be the focus of successful teaching, the nature of what is to be learnt, the best ways of learning and the needs of students are continually evolving.